Would you like to live on through the good work of others? Is there a charity you support? Or an organisation that means something to you? Most funerals these days provide an opportunity for people to donate to charity. Sometimes those charities reflect the manner in which a person died (Cancer Research UK), or help they received (The Air Ambulance). Contributions may also go towards the places in which loved ones were cared for (Hospice Funds). Or sometimes donations reflect the interests of the person themselves (English Heritage) or causes they care about (NSPCC). If you have a charity you feel reflects you or your interests in some way, you might want to make a note of it. It’s not unusual for donations to be divided between two organisations, so there could be one of your choosing and one more fitting, chosen by your family, when the time comes. Several years ago I did a funeral ceremony for a 60-year-old woman who’d had cancer. She wanted to be remembered in a positive way –not associated with illness, but happy and healthy. She loved her garden and flowers, so she asked for Lilly bulbs to be handed out to people at the end of her ceremony, so they could plant these bulbs and think of her each time they bloomed. A beautiful gesture and much appreciated by everyone, including me. I too was given a bulb and every year a gorgeous lilly unfurls its petals (see pic) and I think of that lovely lady and her family. There have been similar gestures requested by individuals or their families over the years… from packets of forget-me-not seeds, to tea bags and golf balls. One lady who was terminally ill even knitted dozens of little sunflower heads (also pictured) which her family turned into brooches for everyone. There is no pressure to do any of this, of course. It’s just another idea which may appeal to you. Just remember how you felt about some of those memento’s and hidden treasures you've held on to over the years – reminders of the special people in your life. Sometimes the smallest things can make a big difference. Gathering together to share food and drink in the company of loved ones and friends is a vital element as we mark the key stages and events of life – from birthdays, anniversaries and Christmas, to weddings, new arrivals, and, inevitably, departures… Refreshments after a funeral ceremony – traditionally referred to as the ‘wake’ – gives family and friends an opportunity to relax together, comfort each other, catch up on missing years (even meet people for the first time) raise a glass in your honour, and, of course, continue sharing memories of you, without the restrictions of ceremony timings or wondering what may be ‘appropriate’ in a funeral setting. There is nothing more heart-warming than seeing groups of people gathered together, starting sentences with “Do you remember the time…” and heads thrown back in laughter. 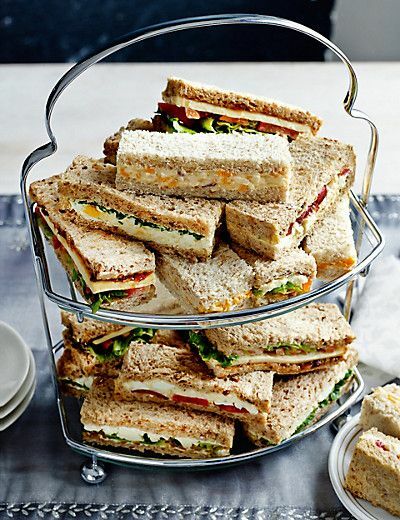 Refreshments can take the form of anything from a cup of tea back at the family home to buffets at local venues, such as pubs or hotels, or even a picnic on the beach. Where you gather may depend on the type of funeral you’ve had – you may have a ceremony and refreshments in the same venue or travel from one to another. Ideally this doesn’t want to be too far away or complicated for people to find who aren’t familiar with the area. Cost will also play a part. Some families can afford waiter service at the golf club, while others enlist the help of friends to bake cakes and make a few sarnies. Either way, it’s the gathering of people that matters. You may have a favourite watering hole that you’d like everyone to gather in after your ceremony. Perhaps you have a favourite cake that everyone can enjoy a slice of or a much-loved tipple that can be shared out, whether that’s a Bailey’s or a hot brew. • If they know you’ve been doing this course, they will, I’m sure, be curious to know how you got on. So that’s an easy way to get the conversation going. • If the news that you’ve been thinking about your funeral ceremony comes out of the blue, it might be wise to pick your moment to open up the discussion. Perhaps if a celebrity has passed away, or a story-line in a TV soap or drama covers end of life matters or a funeral ceremony, you could say “That’s what I’d like…” or “I’d want my flowers to be white not red” or whatever… You might find yourself on a car journey and pass a sign for a natural burial ground or hear one of your music choices on the radio. Just pass comment and see if you can get a conversation going. • If you think they can be told you’ve given it some thought, but going into detail will be too much, then simply tell your loved ones that you’ve written some of your wishes down, that they are being kept in X place, and you’re happy to go through them at any time. Doing your best, of course, to reassure them that all is well and you’re just being organised. • This might not be a conversation you wish to have for now. And that’s fine. Just make sure your wishes can be found when the time comes. • It goes without saying that your wishes should be observed – both morally and legally – provided, as we’ve said all along, they follow the relevant guidelines. So if you have any concerns you can, of course, lodge your wishes with executors who you have nominated to carry out the instructions of your will. Such is the unpredictability of life, we don’t really know who will be there to carry out our wishes but, whoever it is, they will certainly be faced with the considerations of cost (even if you’ve set some money aside for your funeral), dates and timings for the ceremony, and, assuming they are your loved ones, being able to make their own mark on proceedings – to have their feelings and tributes expressed in some form on the day.